Ellen DeGeneres ends her talk show each day with the same five words – “Be kind to one another.” It seems like a simple concept, but in today’s world, everyday kindness can sometimes seem elusive. Whether you’re driving on a crowded highway, grocery shopping, or just trying to cross the street, it often feels like kindness is becoming the exception and not the rule. But going to work daily in an office where unkind behavior is the day-to-day norm can be particularly difficult. It can impact motivation, productivity, attitude, and overall enjoyment. In recent years, there’s been a lot of research on kindness in the workplace. Numerous books on compassion as a successful business strategy have hit the market, touting the importance of a kind culture rather than a cutthroat, win at all costs environment. The era of “success at any cost” is giving way to an approach where kindness, compassion, and teamwork are viewed as assets in organizations and not considered soft, squishy, and weak. Many workplaces are starting to embrace this strategy, while others are slow to adopt it and witness the repercussions in high turnover, resentment, and low morale. Practicing compassion in the office sounds like common sense, doesn’t it? But in the face of multiple deadlines, obligations, and stress, it’s easy to look for shortcuts and overlook opportunities to put it into practice. Yet, it’s hard to think of many other places more in need of kindness than in the workplace. Whether it’s a cheerful greeting, asking about someone’s day, or simply delivering a harried co-worker a much-needed cup of coffee, acts of kindness set the tone for the office and are a simple and effective way to improve business. When you take a look at your organization, do you see a culture of kindness? What type of feedback do you receive from employees and is there room for improvement? Please call Leah M. Joppy and Associates at 301-670-0051 or email us at leah@lmja.com and let’s discuss how to increase compassion in your workplace. You’ll see the difference in your employees. One more thing – in March we’ll provide an outstanding way to get to know your co-worker. It’s fun, easy and a great ice-breaker – no matter how long you have worked together! What’s Important To You In 2018? A shiny new year is upon us, ripe with possibilities and opportunities to make changes. Most of us spend at least some time reflecting on the events of the previous year and what we can do to make improvements over the next 12 months. 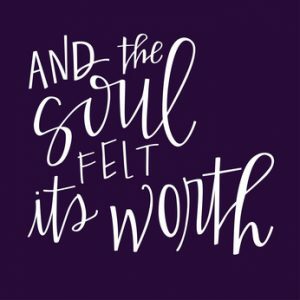 But too many of us are overwhelmed, disconnected, and feel like we’re going through the motions without a lot of purpose. It can be challenging to figure out what’s truly important in life and even more challenging to make an action plan for change. What life do I want now? How about in 5, 10, 25 years? What makes me feel satisfied at work? When do I feel the most successful? The most energized? How am I using my gifts and talents to help others? The great thing about writing all of this down on post-it notes is that you can hang them on a wall in your office (or wherever you’d like) and look at them everyday. You can move them around into an organizational system that works for you, perhaps by weekly, short term, long term, and lifetime goals. A New Year is the ideal time to look at long term goals, what’s working, what’s not, and where there’s room for improvement. And we can help you every step of the way! Please call Leah M. Joppy and Associates at 301-670-0051 or email us at leah@lmja.com to discuss your organization’s 2018 goals. 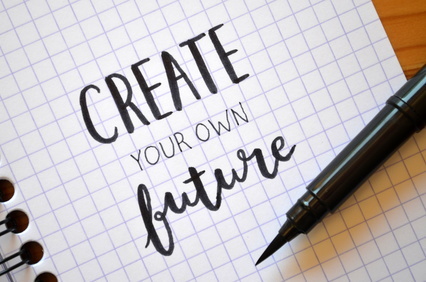 Create it yourself: Whatever it is you want to do, make time for it! Join a class for beginners or a club with people who share a similar passion. You may even notice your attitude at work changes because you aren’t putting pressure on your job to satisfy every aspect of your life. Make time: Work takes the majority of our time, but not all. Take control of your weekends and evenings again and cut what isn’t absolutely necessary. Make fulfilling activities a priority! Give Back: Using your gifts and talents to help others can be one of the most fulfilling things you’ll ever do. Whether it’s mentoring or volunteering, sharing your talent may be the biggest gift you give in 2018. Productivity in the office begins with fulfilled employees who understand the importance of a work and personal life balance. A New Year is the ideal time to lay the groundwork! Please call Leah M. Joppy and Associates at 301-670-0051 or email us at leah@lmja.com to discuss your organization’s 2018 goals. The holiday season is upon us and consumer culture is out in full force – think Black Friday, Cyber Monday, and the Christmas Eve rush for last minute gifts. Whether it’s trying to score the hot new toy for your child or finding the perfect gift for your spouse, it can feel like our holidays (and even the rest of the year) are more about “stuff” and less about what’s truly important in life. Compared to 50+ years ago, Americans today have more cars, bigger homes, and eat out far more frequently. But are we happier because of it? Or is it a case of more money, more problems? Determine what you value most about your life: Try choosing five things you value most as a starting part. By consciously making these choices, it’s a reminder of what things in your life you can’t – and won’t – do without. Consider it the backbone of your life. Assess the way you use your time: After determining the five areas you value most in life, take a look at how you spend your time and evaluate which things are absolutely necessary for these areas. Assess how much time you spend emailing, texting, and staring at a screen. How can you cut back? Cut the clutter in every area of your life: Do you really need everything you have or does it feel like too many possessions are wearing you down? This also goes for emotional clutter! Reevaluate what’s truly necessary in your life for where you are now. Spend more time with people that matter: Assess how much time you actually spend with family and close friends. Is it quality time where you’re truly interacting? Make time to be alone: Do you tend to put yourself at the end of your priority list? If the answer is ‘yes’, take some time to reconnect with a hobby or activity you’re passionate about. There is nothing selfish about spending time recharging alone – it could be the healthiest gift you can give to yourself. By determining what’s most important in your life and breaking free from the clutter, you will not only see changes in your everyday life, but in your work life as well. An increase in prioritizing and productivity are just a few of the benefits you’ll enjoy! Please call Leah M. Joppy and Associates at 301-670-0051 or email us at leah@lmja.com to learn more about how we can help you start the new year happier. While the holidays promise fun, parties, and time with loved ones, more often than not, the result is mounding credit card debt and exhaustion. Vowing to do better next year, we make a resolution on New Year’s Day not to repeat the same mistakes. But why wait until the New Year? Here are a few ways to ease the stress of the holidays and evaluate what’s truly important. And they don’t involve heavy spending and acquiring more possessions! Delegate: The holidays are not about perfection and adding more items to your “to-do list”. Let someone else bring a dish to the party. Share the shopping, wrapping, and decorating. Think Outside the Box: Gifts don’t have to be expensive to be meaningful. Give your time instead of gifts and use your imagination. And above all, make a budget for gift giving and stick to it! There is no joy in being in debt. Pay It Forward: Each of us can touch another person’s life in a profound manner. Random acts of kindness go a long way! Take baked goods, magazines and /or toiletries to a senior community. Often residents don’t have family to visit them. Many of them are on a fixed income. 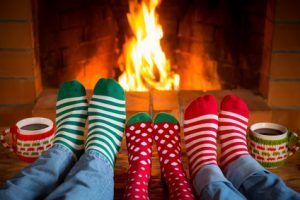 Show Yourself Some Compassion: Keeping your body, mind, and spirit relaxed goes a long way in making the holidays fun. Stressing over gift giving does not. We can help your organization and employees focus on what’s truly important and a top priority and help weed out what’s not. Please call Leah M. Joppy and Associates at 301-670-0051 or email us at leah@lmja.com to discuss your organization’s needs. Worrying More? Enjoying Life Less? With all the advancements in our world today, life should be a breeze, right? After all, we can have dinner delivered to our door, order anything with a click of a button, and even bring up movies and television shows whenever we’d like. We seem to have so much these days, both in terms of material possessions and conveniences. Then, why are we more worried and stressed than ever? 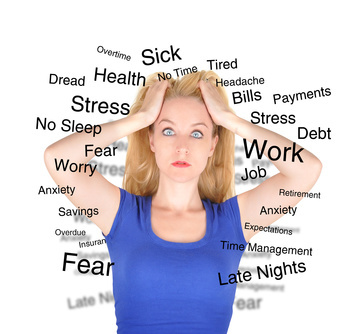 And what are some signs that we’re headed down the path of too much worry in our life? You’re always thinking about future “threats”: When you start to interpret everything as a potential problem and constantly look for potential threats, worrying becomes a default pattern in life. The Remedy: Try to separate emotion from what’s actually happening and don’t confuse feeling anxious with actual worry. Ask yourself: is this a worst-case scenario or am I catastrophizing? You can’t sleep: Poor sleep creates a vicious cycle of poor emotional functioning – which ultimately leads to more stress and worry. The Remedy: Remember that sleep in not expendable. Turn your room into a restful haven away from the stressors or life, including technology! You might even want to try moving your bedtime up 60 minutes. You can’t seem to “shake it off”: No one enjoys confrontation or an unpleasant encounter. But worry starts when you continue to relive it in your mind, wondering what you could’ve done differently, and second-guessing your response. The Remedy: If you’re trapped in replay mode, get up and move. A change of scenery can help you return to your desk refreshed and able to make better decisions. Once you’ve hit your reset button, ask yourself: Was the situation as bad as I thought and is it worth getting this upset about? Often the answer is “no”. Sometimes it can feel like it’s impossible to break the worrying cycle and find your way back to what’s really important in life. For more help, read our article on Tips For Dealing With Worry – How to Stay Focused and On Task. If you’re interested in engaging your organization in Professional and/or Personal Development to discuss how to decrease worry and increase productivity in the workplace, call Leah M. Joppy & Associates at 301-670-0051 or email us at leah@lmja.com. We’re ready to help! Stop trying to do a million things at once (multi-tasking!) and tackle one task at a time. Specifically block out time in your day to spend on a project and set a timer to hold yourself accountable for that time. Turn off your phone and computer and get some exercise – preferably outside in the fresh air! Make the most of workday breaks to refresh and recharge. Use technology to your advantage by trying options like Cold Turkey, Freedom, and Self Control. They block out the Internet to keep you off social media and other distractions. Try a yoga or meditation class. There are online apps such as Headspace and Calm that help promote mindfulness if you want to try meditation in the comfort of home. Find better ways to streamline your communication and break free from the endless chain of message. Ask yourself how the conversation would be most effective – email, on the phone, or in person? Make sure to set reasonable standards for yourself and others. The pursuit of perfection can lead to increased worry and paralyze productivity. Interested in stopping the cycle of worry and get back to a happier, more productive work life? Please call Leah M. Joppy and Associates at 301-670-0051 or email us at leah@lmja.com to discuss your organization’s needs. 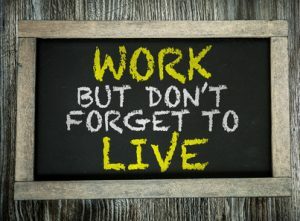 You’ve probably heard the Confucius quote, “if you do what you love, you’ll never work a day in your life.” It sounds like a tall order, particularly when you feel a lack of passion and enthusiasm for your job. Of course, work isn’t the only thing that influences happiness, but it is where you spend the majority of your time. Can it really make you happy? Many factors come into play, such as the way you’re managed, how much you like your co-workers, and your role within an organization. But work that also matches your interests and maintains your motivation is much more likely to keep you absorbed and content. Not exactly a surprise! Then why does it feel so elusive? What Are The Characteristics Of A Fulfilling Career? When it comes to career fulfillment, there’s a combination of factors that come into play. For starters, you have to believe in what you’re doing and it has to matter to you. Your work needs to have a purpose and positive impact – not necessarily on the entire world, but perhaps just one person. You shouldn’t have to sacrifice your life for the work you do. “Work-life balance” is a popular term these days, but it certainly means different things to different people. Autonomy and freedom are also important. If you think you have to be somewhere for X amount of time just to put in “face time,” that usually leads to dissatisfaction. And last but not least, it’s important to get compensated for the work you do, so you don’t feel like you’re struggling to make ends meet. Which Jobs Would Make You Happiest? What am I good at? And is there a job where I can do it? What do I like to do? And is there a job which involves that activity? When have I felt happiest? Is there a job that replicates that situation? Which jobs am I qualified for based on past experience? Which jobs meet the criteria above and provide enough income? Feeling “stuck” in your current job? Read our article on Tips For Dealing With A Work Slump. If you’re interested in engaging your organization in Professional and/or Personal Development to increase job satisfaction, call Leah M. Joppy & Associates at 301-670-0051 or email us at leah@lmja.com. We’d love to discuss your objectives! Determine why you’re struggling: Are you bored with your project and know that it’s short term? Problems with your boss or colleagues? Or would you rather be working in another field? Start with the basics and spend some time getting to know what is causing the slump. Identify what matters to you: We discussed this in our previous article on Finding and Doing What Makes You Happy, but think about what interests and values you place above everything else. Is your current job supporting them? Focus on what’s working and going well: When you’re in a slump, it can be easy to focus on what’s going wrong. Take a few minutes each day to think about what went “right” and what you’re grateful for. It can improve your health and overall life too! Stop comparing yourself to everyone else: Step away from social media and stop obsessing over who just received a promotion. Social comparison is a huge barrier to overall happiness and motivation. Redirect your attention to your own standards of accomplishment and happiness. Interested in creating personal or career development goals that can lead to a happier, more fulfilling work life? Please call Leah M. Joppy and Associates at 301-670-0051 or email us at leah@lmja.com to discuss your organization’s needs. Learn from experience. There’s nothing wrong with failure. There’s nothing wrong in recognizing your strengths and weaknesses. How often do you hear people 50 or older say that they wish they had the wisdom they have now, when they were in their twenties. 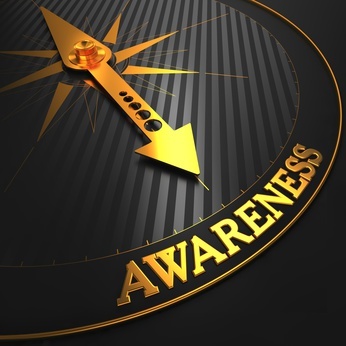 When we are aware of ourselves, we are most likely aware of others. And that ability to know how people will react is critical to good leadership. We can maximize the potential of our teams if we are able to reduce conflict, use competitive advantage and drive organizational effectiveness. Take time to know who you are. Objectively, can you identify your strengths and weaknesses? It’s essential for a company to perform its own SWOT – identifying Strengths, Weaknesses, Opportunities and Threats. Performing your own personal SWOT is essential for identifying your self-awareness. Think about your trigger points – what sets you off and completely derails any other thoughts? How do you deal with criticism? And on the other hand, what inspires you? STOP normal behaviors. If you’ve always “taken the bull by its horns” and barreled forward – without regard to the team or to other suggestions, put on the brakes. Instead, look around. Seek information from others who will be part of the development of the plan going forward. Indeed, surrender control and seek cooperation. The end result can be a more collaborative effort – one that is far more likely to succeed and one that you are more likely to enjoy. Don’t wait. More often than not, individuals tend to think about self-awareness during periods of transition. During a career change, personal crisis or family emergencies, we often experience the need to re-evaluate our lives. But in truth, it’s important to be sensitive of our own changes, and the environment around us, even when life seems to be running smoothly. These ongoing assessments of ourselves help us become more fluid and flexible as our career and environment change. Interests – both career-wise and personal. Values – make a list of what’s important to you, both in your career and in your personal life. Talents – objectively list your talents, not just hard skills learned through education, but soft skills learned through experience. Abilities – these are different from talents in that these are usually innate. You have natural abilities that make you suitable to different jobs and relationships. Lifestyle preferences – these are different for all of us. Some prefer to live in the suburbs; others would rather live in the city. What are your preferences? Taking the time for self-exploration is key to adding value and control in your own life – regardless of age or organizational environment. Personal development, including self-assessment and self-esteem, is an attainable goal for any organization. These skills are particularly important in today’s workplace as organizations demand flexible work environments. Leah M. Joppy and Associates offers various seminars on Personal Development. Please give us a call at (301) 670-0051 or email us at leah@lmja.com to discuss the needs of your organization.